Oakland Raiders quarterback great Kenny Stabler getting elected into the Pro Football Hall of Fame made my Super Bowl Weekend. For me, that overshadowed the corporate juggernaut known as the Super Bowl, with its 100 million-plus viewers worldwide. And considering there are 1.4 billion people in China, and another 50 million overseas, there’s only one super bowl left that matters, and it better be filled with bananas. 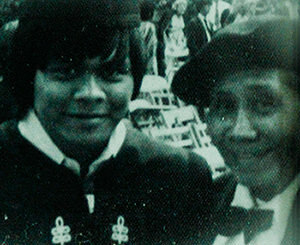 Filipinos–so special because they weren’t.In San Francisco, Filipinos like my dad found comfort on the edge of Chinatown on Kearny Street, where they formed Manilatown. Their Asian-ness gave them common ground with the Chinese, particularly when it came to eating, drinking, and gambling.But the mostly male population of Filipinos often ventured out into the city and the rest of the state. Not only did they take jobs few whites would take, they started taking their women too.That was the thrust of a white-led Filipino exclusion movement that came complete with violence and drove down the numbers of Filipinos entering the country from a high of around 11,000 in 1929 to 1,300 in 1932. During that time, the epithet of choice was clear. They called us “monkey.” Through my father, I know what it’s like to be not good enough because we weren’t white. We were sub-human.But when I hear that it’s the monkey year, and it starts on my dad’s birthday, well, that bit of karmic coincidence is just cause for celebration. I’m looking forward to a good year.And If I can have a good year, maybe DeMarcus Cousins, with all his monkey baggage, can too. Although truthfully, playing for the lowly Sacramento Kings makes it highly unlikely._COUSINS’ MONKEY TALE_Last week, Cousins, a high schooler from Mobile, Alabama who went to Kentucky, played one year, and then jumped to the NBA for $7 million, showed why it’s not a bad idea to finish up four years of college.He might have been able to take an Asian American history course.Cousins objected to the Kings having a T-shirt giveaway featuring a monkey in the team’s purple colors on the day that kicked off Black History Month. Cousins found it offensive. 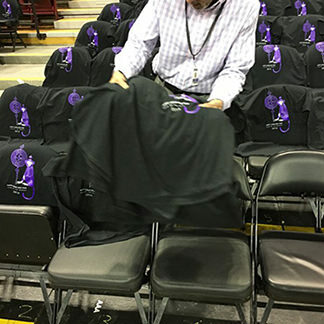 Surprisingly, some people agreed.TIME magazine reported: “DeMarcus voices his displeasure and to the Kings credit they pull the Monkey T Shirts,” Marques Johnson, who is now a Milwaukee TV analyst, wrote on Twitter. “Good move Kings. Year of Monkey Tees on 1st day of Black History Month not a good look. Thanks DeMarcus,” he also tweeted.This kind of thing shows how ignorance can spread on social media. But what do you know, the Kings front office folded. The team removed the T-shirts to placate King DeMarcus.The Kings should have sat down with Cousins and explained that the Year of the Monkey is important to the largest Asian minority in the state, the second largest minority group after Latinos (African Americans are third), and a big part of the fan base in Northern California.The Kings then should have explained the monkey is no slur, not in the Lunar New Year context. And that even Asian Americans like Filipinos, who know the general term as an epithet, still consider Year of the Monkey not as a source of ire, but as reason for celebration. Instead, the Kings were bullied by a star of their own making. Since the $7 million paid to Cousins in 2009 to go pro, the Kings are into the player for a whopping $15.8 million for this year alone.That tends to cloud judgment.The big loser? 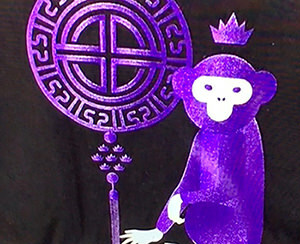 Diversity, the truth, and anyone who wants a purple monkey T-shirt. In the words of Dr. Martin Luther King Jr., “Nothing in the world is more dangerous than sincere ignorance than conscious stupidity.” DeMarcus, you sound stupid as hell. You sound as stupid as white people who thought Cam Newton dabbing had something to do with gangs, OK? DeMarcus Cousins, we aren’t the only culture in the world. You need to apologize to Asian Americans, let the Kings do their T-shirt giveaway, and then go eat some dim sum and some duck sliders with your Asian American fan base. An apology would be nice. But the Kings need to do some apologizing too. Its shallow pandering to the Asian community was exposed when team officials couldn’t even deal with Cousins on a rational basis. By placating him, they rewarded his lack of knowledge, made a mockery of diversity, and spoiled a nice cultural celebration for Asian American fans of the Kings.Fortunately, most fans have gone down the road to root for the world-beating Golden State Warriors, who never lose a game and know what diversity means. 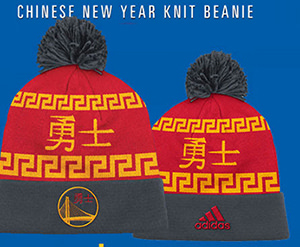 The Warriors, who have had lunar new year shirts for some time, featured a Chinese New Year beanie for Saturday’s game. And just last week, star guard Klay Thompson met with Chinese youth in San Francisco’s Chinatown. Chinese New Year during Black History Month in the NBA? It can happen. Especially when we aren’t cowed by ignorance. But I’m willing to give Cousins a break.If he really wants to do something for Black History Month, how about challenging all the top rappers who insist that their sexist and racist lyrics are a celebration of African American culture?That would be worth a dab, and make up for his bogus objection to Year of the Monkey T-shirts.